Career planning is a valuable investment of time. Whether you are just starting out, or looking to spread your wings in the employment market, mapping a career plan can help lead you in the right direction to the career you want as it provides you with a good idea of where you currently are and where you want to go professionally. A SWOT analysis can help. 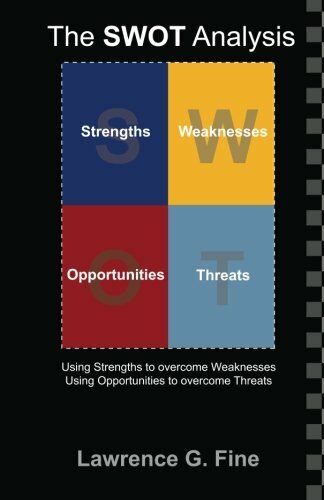 SWOT is an acronym which stands for strengths, weaknesses, opportunities and threats. Strengths and weaknesses are internal factors, meaning attributes you possess, while opportunities and threats are external factors; the externals are the ones which are beyond your control. While the SWOT process is often used in business and strategic planning, this method can also be very helpful in career planning as well. The fundamental elements to both business and career opportunities are very similar in nature, which is what makes SWOT a good career tool too. The kinds of strengths each person possesses are unique; everyone has his or her own strengths. When planning your career, think about all the things you can do that are applicable and valuable in today's workplaces. Chances are when you sit down and think about it, you will discover there are a great many things you can or know how to do. Other personal attributes such as "people skills", communication and empathy are also good "soft skills" qualities to consider as strengths. There are many personal qualities which can be considered as strengths and applied in the workplace. Many people tend to overlook soft skills and other special attributes they possess until they are spelled out on paper. Yet, many of these types of skills are coveted by employers. All it takes is a matter of sitting down to think about what you can do and how it can serve you in various careers. For instance, the aforementioned empathy or communication skills are great qualities for a customer service representative to possess, whereas an individual lacking in the ability to be empathetic might not be a good match for this career path. A planner might make a good wedding organizer. A person who has a knack for fixing things or who is strong with design might make a great computer tech or website designer. All of these strengths should be noted down so they can be further examined when considering the type of career to pursue. Admitting your weaknesses is sometimes hard, but when applying them to careers, it is important to be honest and realistic with yourself about those things that you may not have a good handle on. Everyone has his or her weaknesses, however the good thing about weaknesses is once these are self-identified, they can be minimized and/or steps can be taken to strengthen these areas. If, after self-reflection, certain weaknesses are exposed, an individual can perceive these as an opportunity to improve, which in the long run will better any career. Although it is important to realize that some weaknesses are hard to get past. An example would be, if you are terrible in math and logic, a computer programming job is probably not for you. When examining weaknesses an individual should not put a high level of emphasis on these and perceive weak points as a liability; instead consider them as an opportunity. Weaknesses are a great way to create additional strengths or improve skills. An important component of career planning includes identifying opportunity. Without opportunity, there is no job and it is of value to examine closely this external factor. When opportunities exist, you can use them to your advantage. Consider trends, technology advances, globalization, education opportunities, on-the-job training provisions, high demand of skills possessed, and availability for advancement. Another oft perhaps overlooked opportunity is connections and developing solid relationships. Networking is an essential activity in any type of business and, in today's age of social media, this further increases potential career opportunity. Using SWOT to figure out which opportunities are open in the job market and which are not is a valuable step to take when career planning. If the forecast for a specific field does not seem promising, this is important to know, as you do not want to invest a lot of money in education or training that will offer you no true opportunity at the end of the journey. Threats are also an external factor and these should also be closely looked at when determining whether or not to pursue a career in a particular field. Possible threats to consider are external environmental, political or other factors that may be beyond your control. Other threats can be layoffs, downsizing or other form of limited opportunity to find employment in a specified field, high competition from other applications, lack of training or education, or limited professional advancement or development. Once strengths and weaknesses can be identified, they can then be contrasted with the observed opportunities and threats. If you know how you measure up in terms of the SWOT analysis, you can then have an ability to determine where and how to promote yourself in the job market and use your attributes as a career advantage. Strengths can be maximized and weaknesses overcome and/or minimized. Strategically using strengths and weaknesses based on the job market environment can better help an individual land the job they desire. Many individuals find using a SWOT analysis to help plan their careers is a good tool to utilize. Determining one's own strengths and weaknesses is not always an easy task, and the SWOT can serve as a tool to help individuals identify their strengths and weaknesses and explore the threats and opportunities present in a particular career path or industry. I really like that you emphasized "soft skills" and that weaknesses are truly an opportunity to grow (and improve). I felt a little "let down" after I graduated from orthotics/prosthetics because the college touted it as "a field with plenty of career opportunities" (something like above 90% placement). Every one of my classmates had trouble finding work - because the industry changed drastically. Pre-fabricated prostheses were becoming the norm and those who required artificial limbs (many were war vets) were, well passing away (no longer needing our services). Plus, Canada is not a war-torn country (thankfully). The opportunities were overseas (and I wasn't willing to go). I wished I'd done my homework on actual market trends in Canada. Another extremely helpful article here, Leigh. Thumbs up, pinned, G+, etc. Thanks so much Rose for reading and sharing your insight. Years ago I learned a lot about career planning (as I was also stuck in a position where I could not find a job - my issue was outdated skills though - and it amazed me how much things had changed in many industries when I tried to re-enter the workforce). My soft skills turned out to be one of my best friends and helped me along the way.. I appreciate your commenting (and the thumb and shares too :).